Here’s to the amazing animals we share the planet with! This is so adorable!!! 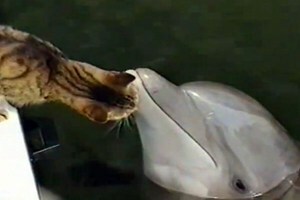 Love that the cat eventually is petting the dolphin.